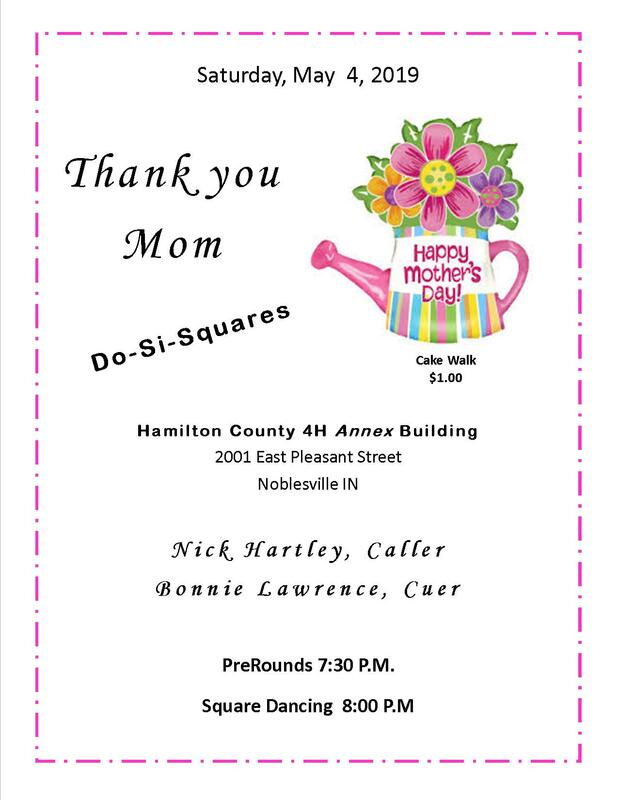 Do-Si-Squares Noblesville Square Dance Club - Welcome! (4/23) - Do-Si-Squares Club Member, JoAnn Pickett, sadly passed away on April 20th, 2019. Do-Si-Squares gives its deepest sympathy and condolences to the family and friends of JoAnn. -We have added a new page which will showcase videos and photo montages of our dances, lessons, and of the Spring Extravaganza. -The callers for the months of October and December have changed. Please view the Schedule Page for the details. -The Spring Extravaganza Page has been removed and is no longer available. (3/2) - Our club has a new email address and the old email is no longer being monitored. To ensure your messages get to us, please use the Contact Us form on this website, or see the new email address on the IDA Website under "Clubs." Join us for our Next Dance!! Guests (Non-Dancing): FREE! Come and watch us Dance! Content on Website © Kyle Kirkpatrick, Margaret Bell, & Do-Si-Squares Square Dance Club. 2014-2019. Do-Si-Squares Square Dance Club was Established in September 1961. We are a Non-Profit Organization.